A calm, respectful tone sets this well-researched political-change treatise apart. 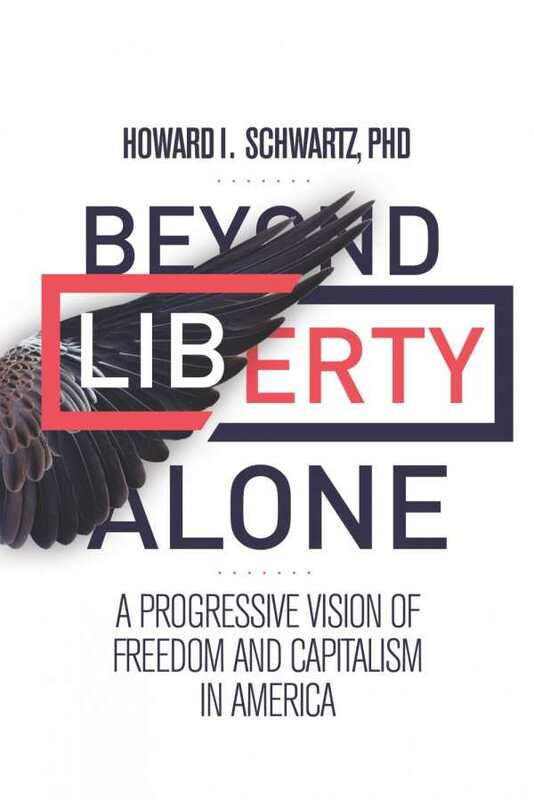 Beyond Liberty Alone: A Progressive Vision of Freedom and Capitalism in America by Howard I. Schwartz, PhD, is a calm look at where America has gone wrong, and how its citizens can get the nation back on track. Schwartz believes that over the last half century the view of liberty has changed, something that’s become even more clear during the economic turmoil of the last decade. He dubs this view the “‘liberty-first’ philosophy.” The book asserts that this view is incomplete and overly individualistic: “wrong … in its oversimplification of liberty’s history, in its failure to understand liberty’s philosophical foundations, and ultimately, in its impoverished view of human beings and the moral responsibilities they have as members of the species and as members of society.” While this thought process may be new even to many thoughtful Americans, its results are all too familiar: this distorted view of liberty drives outcry against big government and regulations of individuals and the economy. The book seeks to correct commonly held notions of liberty by emphasizing its dual nature—it involves personal choice as well as “responsibility, debt, sacrifice, compassion, and care.” Schwartz traces the threads of this revolutionary yet historical way of thinking from personal freedoms, such as possessions, to national economic realities, such as debt and wealth. This micro-to-macro organization makes the book both comprehensive and immediately actionable. Schwartz seeks to convince everyday citizens that their ideas and choices matter on the grand scale. Schwartz wants good for people and the country and is willing to speak blunt truths, but what sets Beyond Liberty Alone apart from other political-change treatises is Schwartz’s tone. While he’s likely frustrated and concerned about the issues he describes, he has the wisdom and self-control to use a calm, respectful voice. A political book free of name-calling and blaming is certainly a breath of fresh air, and it’s an effective authorial choice. In addition to the tone, research is the key to Schwartz’s compelling arguments. His clearly articulated, well-organized chapters are bolstered by more than fifty pages of notes and bibliography—an asset for those whose appetites are whetted by this book. This book reaches those at all levels of American democracy, from citizens to lawmakers. Beyond Liberty Alone brings insight to Americans who feel a disconnect between the American ideals they were taught, even the America they were raised in, and today’s uncertain, amoral society. It redefines liberty and charts a hopeful path for the country.